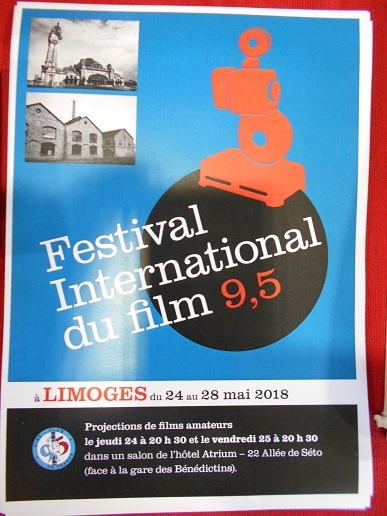 It will be held in Limoges (France) from the 24 th to the 28 th May. 19 people (from France, The Netherlands, UK and Belgium) could attend Limoges for this edition. Some of the participants had to make a long trip via other cities beacuse of the train strike and others had to come earlier but the festival went well. 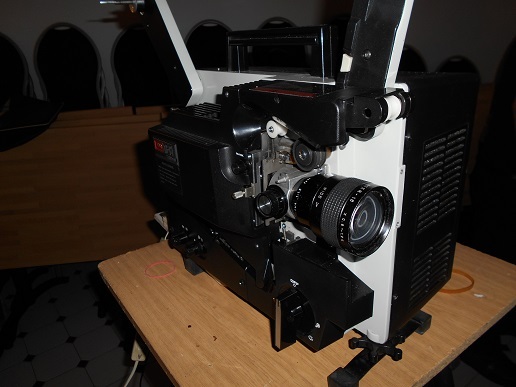 The projector used is a converted Elmo. It's the first time I saw one. Some of the films that were screened. 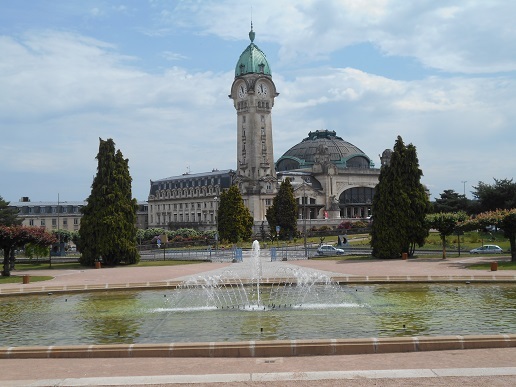 Many activities were done such as the visit of the famous Limoges train station which was very close to the hotel choosen for the festival. Limoges is reputated for the numerous good quality porcelain manufactures that were located in the city. 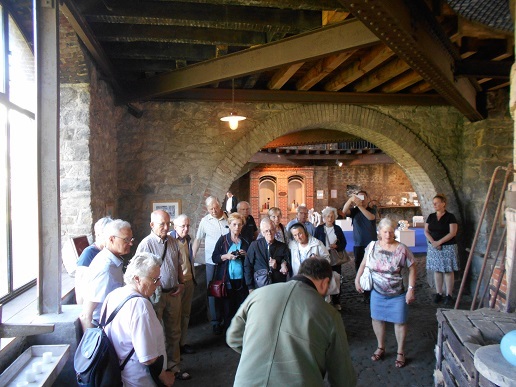 There were several interesting visits over the history, the manufacture of porcelain and Beautiful pieces. Last pictures (I took a lot of but to focus on 9.5, I will not post them on the forum). 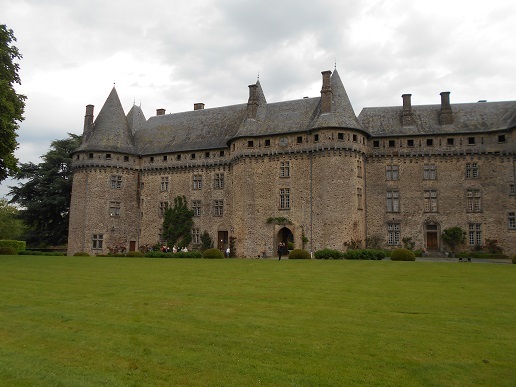 Among other visits, the "château de Pompadour". It was given by King Louis XV to the famous lady who became Madame de Pompadour. Next year, the festival will be organized by the Dutch festival but the city is not known, yet. Thanks for putting up these pictures Dom. Sadly I couldn't attend this year but hope to do next year. That Elmo converted is beautiful! I always forget that most of the 9.5mm sound films are magnetic. Too bad it does not even have the function for record, it would have been the top! 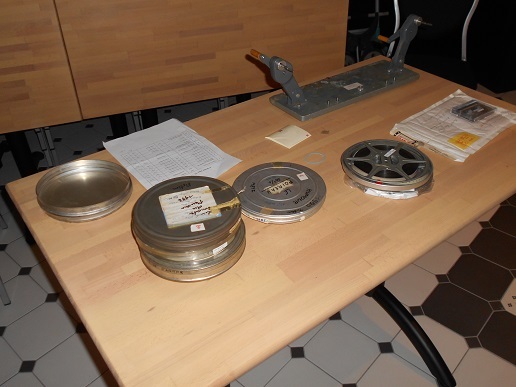 Actually, most of the commercial films (from Pathé and Pathescope) have an optical soundtrack and almost all of the amateur films have a magnetic soundtrack (actually, I know only one example of a French amateur who built a 9.5 camera with optical sound). 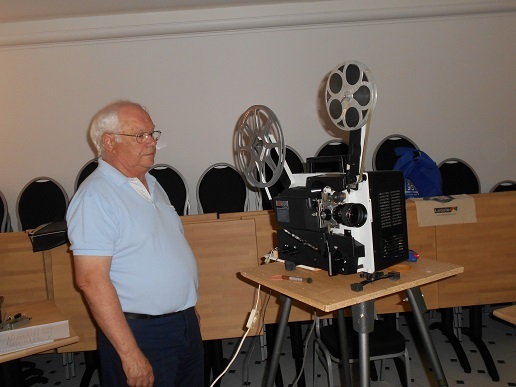 The owner of the projector on the picture has also material for the "super 9.5" gauge that has not lived for a long time. It was 35mm film split in three strips. It was called super 9.5 since the central perforation was at the same place than 9.5. Sadly I have never seen any super 9.5 film projection but those who were Lucky to have say it's a wonderful picture. Dom, the user has still any picture or demonstration? Regarding the 9.5mm magnetic, it seems to me that you also had the stripe machine for this format. It works? Yes and no, Luigi. The striping machine works but I couldn't make the strip hold on the film. I was told it may be because the glue has to be heaten but I haven't tried that. A French man is offering a stripping service for 9.5 (and all the other gauges) but I haven't tried this, yet. From my experience I can say that my two striper, a famous Bolex Weberling and a Juwel for Regular 8 and Super 8 don't need the heated solvent. They work well, but the strip that doesn't stayed on film on two occasions: too little solvent or... too much, and did not have time to dry. But I know that the stripes that doesn't remain "glued" may depend on various factors, even the speed with moves the striper, which must be very precise, must have the right time to paste the stripe on film. Another problem could be cleaning the film. If too greased, cleaned with lubricants, it could slide the sound stripe off. I remember that some time ago was talk about the Ektachrome 64T which, even if in triacetate, had problems for keeping the stripe, because it was created with a special procedure. What kind of film did you try? Where did you buy the solvent? I tried with leader. The glue went from a French website but was manufacrured in Germany. Where do you buy your glue from ? From Wornast (http://www.ffr-film.de/eng-band-.html), but I guess the French site you got it, and it should be the same solvent, maybe I bought a bottle there too. It's Ok, great product. I don't use it much, I have a bottle for a few years and it still works. Once I bought a very polished white leader, which even if in triacetate did not keep the stripe. It only happened to me once, but it's something that could happen! Thanks for that info, Luigi. I didn't want to risk to try on a "real" film. I should make another test. Very complete article, written by Tod Higginson, covering the festival in the latest British 9.5 Magazine.